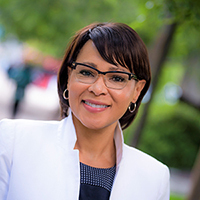 Our team, led by Vice Chancellor for Equity, Diversity and Inclusion Becky Petitt, is dedicated to cultivating a community with heart, where all can thrive. 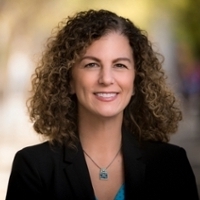 Dr. Becky Petitt joined UC San Diego in March 2015 and brings over 25 years of progressive administrative experience in equity, diversity, and inclusion work across the higher education community. 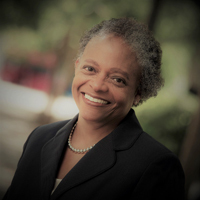 Prior to UC San Diego, she served as the Associate Vice President and Chief of Staff for the Office of Diversity at Texas A&M University, and served as adjunct faculty in the College of Education and Human Development with scholarship focused on diversity in higher education, cultural competence, organizational development, and inclusive teaching and learning. As a scholar-practitioner, Dr. Petitt provided vision and leadership for Texas A&M University’s Diversity Plan, which is acknowledged as a national exemplar of sustainable institutional change. She is a nationally recognized consultant, specializing in equity and diversity in higher education, organizational learning and organizational change. Her influence extends across the academy and well beyond. She holds a bachelor of science in psychology and received both a master’s and doctorate in education from Texas A&M University. Dr. Diane Forbes Berthoud is the Assistant Vice Chancellor for Equity, Diversity, and Inclusion. Her responsibilities include strategic planning, advancing institutional effectiveness, serving as liaison to Human Resources, and leading diversity-focused community engagement and campus-wide initiatives. As a member of the Vice Chancellor’s leadership team, she represents the Vice Chancellor on high-level task forces, advisory groups, and system-wide work groups. Dr. Forbes Berthoud has over 22 years of experience working in higher education, nonprofit, and government. She brings a proven record of success in organizational communication and development, strategic planning, and assessment of EDI initiatives. Her previous positions include lead consultant in a countywide organizational effectiveness and diversity initiative in Montgomery County government in Maryland, where she led an assessment and planning process to improve organizational effectiveness and to strengthen equity, diversity, and inclusion for thousands of employees in the county government. She was also an Associate Professor and Chair of Communication at Trinity Washington University and Director of Practicum at Sixth College, where she spearheaded the development, design, and assessment of multiple community-based initiatives and courses. Dr. Forbes Berthoud received her master’s and doctoral degrees in organizational communication and social psychology from Howard University in Washington, DC, and earned her B.A. in communication arts and a certificate in Spanish translation and interpretation from Barry University in Miami, Florida. Dr. Frances Contreras is an Associate Vice Chancellor for Equity, Diversity and Inclusion, Faculty Recruitment and Retention. 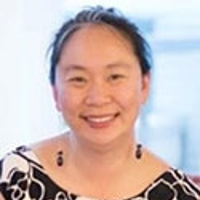 She is also an Associate Professor in the Department of Education Studies and most recently served as co-director of the joint doctoral program in Education Leadership at UC San Diego. 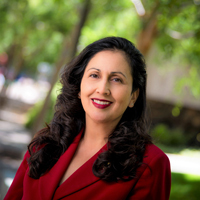 Dr. Contreras has over ten years of administrative leadership both at UCSD and the University of Washington College of Education, where she directed their higher education program. Her research focuses on issues of equity and access for underrepresented students in the education pipeline and the role of public policy in ensuring student equity across a P-20 continuum. Her work has been published in leading education journals and presses, including Harvard Educational Review, Educational Policy, Journal of Hispanics in Higher Education, Harvard University Press, and Teachers College Press. Contreras’ most recent books include: Achieving Equity for Latino Students, Expanding the Pathway to Higher Education through Public Policy and The Latino Education Crisis with P. Gandara. Her current book, Cultivating Latino Students in STEM examines the promising approaches of campus programs as well as individual agency among Latinx high achievers in college to succeed in STEM pathways. Associate Vice Chancellors for Faculty Diversity and Equity provide training and support to Faculty Equity Advisors and are available to any faculty member, as well as deans, chairs, and search committees for guidance on issues related to diversity, equity, mentoring, and family accommodation policies. They also monitor campus demographics on faculty recruitment, hiring, and retention. Dr. Alexander Norbash is Associate Vice Chancellor for Equity, Diversity, and Inclusion. Charged with Faculty Climate and Professional Development, he is responsible for implementing programs and systems that provide a sense of well-being, appreciation, protection, and respect for all faculty. Specific projects currently underway or in the planning stage include peer-mediation, campus-wide climate survey, and empowering bystanders to step up when called upon. From 2011-2015, he served as the Assistant Dean for Diversity and Multicultural Affairs at Boston University School of Medicine where he led multiple initiatives to enhance diversity and inclusion. 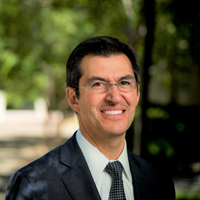 Dr. Norbash also serves as Chair and Professor of Radiology within the UC San Diego School of Medicine. He received his combined B.A./M.D. from the University of Missouri-Kansas City, completed postdoctoral training in Interventional Neuroradiology at Stanford University, and an M.A. in Healthcare Management from Harvard University. Frank Silva joined VC EDI as Chief of Staff in 2013. He has over 20 years of experience administering and managing publicly funded health and social service programs in academic, clinical, and community based settings. He was the Director of Programs and Administration with the Division of Academic General Pediatrics, Child Development and Community Health at UC San Diego, responsible for human resources, facilities and space planning, and fiscal budgeting and forecasting. His diversity work has focused on health equity and cultural proficiency education for medical students and pediatric residents. He served as a guest lecturer for three years for the UC San Diego School of Medicine Program in Medical Education – Health Equity (PRIME-HEq) course PEDS 250 Influences on Health: From Genes to Communities, and was the Administrative Director of the Dyson Initiative in San Diego, a nationally recognized Community Pediatrics training initiative. 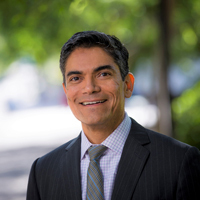 More recently, he served as the Cultural Competency Curriculum Developer for the UC San Diego Hispanic Center of Excellence (HCOE), where he was responsible for creating, implementing, evaluating, and institutionalizing a four-year longitudinal cultural proficiency curriculum for the UC San Diego School of Medicine. In this role, he worked collaboratively with campus staff, community partners, medical students, and faculty, staff, and academic leaders in the School of Medicine to create experiential teaching modules that incorporate patient-centered care, situational awareness, cross-cultural communication, and cultural proficiency. Glynda Davis is the administrator of diversity activities housed in the UC San Diego Campus Community Centers, as well as executive support for priorities identified and recommended by the Vice Chancellor for Equity, Diversity, and Inclusion. She also functions as a key administrative liaison to the campus in general in communicating information about campus diversity issues, advising campus leadership about diversity needs, supporting diversity-related activities in the various staff associations, and planning and implementing activities in response to identified needs. Prior to this, she spent over 14 years in various student development roles in the UC San Diego Jacobs School of Engineering. Glynda received her B.S. in engineering, biomedical field of study, and M.S. in electrical engineering from Purdue University. She is a member of the National Association of Diversity Officers in Higher Education; and a former member of the National Association of Minority Engineering Program Administrators, American Society for Engineering Education, and a founding member of the Concerned Parents Alliance, Inc. of San Diego, CA. 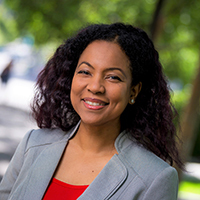 MarDestinee Perez is Director of Faculty Development and Diversity, and oversees the development and implementation of activities led by the Center for Faculty Diversity and Inclusion. These include the Faculty Equity Advisor Program, Chancellor's Postdoctoral Fellowship Program, Faculty Diversity in Leadership Grant, faculty networks, Faculty Peer Mediation Program, and workshops for faculty and administrators. In addition, she provides leadership and counsel to the Vice Chancellor and Associate Vice Chancellors around policies, trends and best practices for faculty recruitment, retention, and advancement. MarDestinee previously worked for the U.S. Agency for International Development, Institute of International Education, Congressional Budget Office, and the Oregon Judicial Department, providing policy analysis, program development, project management, and monitoring and evaluation. She has a B.A. in criminology, law and society from UC Irvine, and an M.S. in public policy and management from Carnegie Mellon University. Inspired by personal and work experiences in San Diego and in the Philippines, John developed a deep passion for community building. This resolve led John to get his B.A. in political science at UC Los Angeles, and his M.A. in law and diplomacy at The Fletcher School at Tufts University. As Director of Development – Diversity Initiatives, John is responsible for connecting alumni and friends to UC San Diego causes that matter. John’s fundraising efforts augment the work of the Office for Equity, Diversity, and Inclusion to create a thriving campus community. Laura Kertz is a principal analyst in the Office of Institutional Research. Laura supports the Office for Equity, Diversity, and Inclusion with research and analysis to support decision making, assess program effectiveness, and assist units in self-study. 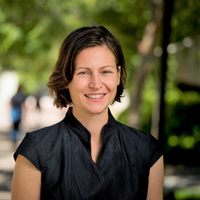 Prior to joining EDI, Laura was an assistant professor of cognitive and linguistic sciences at Brown University and an instructor and pre-doctoral training fellow at UC San Diego. Prior to her career in higher education, Laura worked with digital not-for-profits in the NYC area on initiatives related to data privacy and promoting civil discourse online. Laura holds a Ph.D. from UC San Diego, an M.A. from the CUNY Graduate Center, and a B.A. from the University of Texas at Austin. Windi Sasaki manages Asian Pacific Islander Middle Eastern Desi American (APIMEDA) Programs and Services. Windi is a first-generation college graduate and an alumna of UC San Diego, where she received her B.A. in psychology and minors in biology and classical & medieval Europe. She received her M.A. in student affairs in higher education from Indiana University of Pennsylvania, where she completed research on Asian American college student development. She has over fifteen years of experience working on college campuses with students. 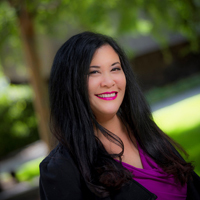 As Executive Assistant to the Vice Chancellor, Michelle Castin serves as the main point of contact, university liaison, and calendar coordinator for VC Petitt, along with managing the unit’s student employees and training administrative staff. Additionally, Michelle is responsible for planning and coordinating travel, creating meeting agendas, writing and editing. Prior to joining UC San Diego, Michelle spent eight years working for Poway Unified School District in Special Education and Learning Support Services. Before that, she served as a Program Assistant at the Robert Wood Johnson Foundation. She received a B.A. in Germanic studies from Boston College and has gained a range of experiences by living and working in several U.S. states and abroad. Maddy Agamata is the Cultural Events Coordinator/Specialist. In this role, she coordinates comprehensive special events strategies for annual campus cultural celebration events, such as Asian and Pacific Islander Heritage Celebration, Black History Month, Native American Heritage Month, Cesar Chavez Celebration Month, and other special events. In addition, she implements logistics for special programs, special events, and receptions hosted by the Vice Chancellor for EDI and provides high-level administrative and programmatic support to the Office of the Vice Chancellor for Equity, Diversity, and Inclusion. Previously she served as the Business Office Manager And Executive Assistant at Sony Ericsson Mobile Communication, Inc, and as a motivational coach/speaker with Dale Carnegie of San Diego. Vanessa Haro is the Executive Assistant to the Assistant Vice Chancellor and the Senior Diversity Officer. She previously worked at a local law firm for over nine years providing executive and fiscal support to the firm’s directors and senior partners, then worked in Mexico City for several years at Greenpeace Mexico and Amnesty International. While there, she put into practice her macro social work training to develop volunteer, organizational development, human resources, and direct dialogue and fund development programs. 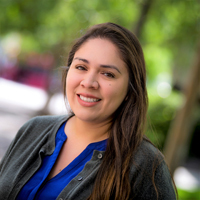 An alumna of UC San Diego’s John Muir College, Vanessa completed her B.A. in critical gender studies with a concentration in history and social inequalities. She completed her M.A. in social work from the University of Southern California with a concentration in community organization planning and administration. As the Program Assistant for the Center for Faculty Diversity and Inclusion, Rosalynn assists the Associate Vice Chancellors and the Director of Faculty Development and Diversity in the execution of faculty programs and events. She previously worked in higher education student services. 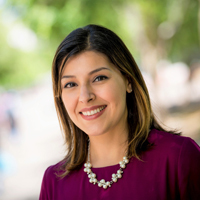 She received her master of education in postsecondary administration and student affairs (PASA) and her bachelor's in political science and Chicano/Latino studies from the University of Southern California. Faculty Equity Advisors work collaboratively with deans, department chairs and search committees to ensure that equity and inclusion are considered in all aspects of faculty affairs, including recruitment, retention, and advancement. They provide implicit bias training for search committees, guidance on implementing inclusive practices, and other input as needed. Meet our Faculty Equity Advisors. Porsia Curry has worked at the BRC since its inaugural year, 2013-2014. As director, she takes a leadership role in building community and creating a dynamic and identity affirming experience for Black students, staff, and faculty within UC San Diego. Porsia leads innovative efforts to provide an integrated approach to identifying, developing, implementing, and evaluating programs and practices directed toward improving Black student outreach and yield, academic success, leadership and professional development, inclusion and retention, and enrichment of their overall experience. Porsia has presented at the Center for International Educational Exchange Annual Conference, the National Conference on Race and Ethnicity, the University of California Academic Advising Conference, the Umoja Community Annual Conference, and has facilitated several UC San Diego iLead presentations. Porsia received a B.A. in communication, with a minor in ethnic studies, from UC San Diego. Her graduate work was completed in higher education, with an emphasis in student affairs from Kaplan University. Dr. Edwina Welch serves as a Campus Diversity Office and Director of the UC San Diego Cross-Cultural Center. Dr. Welch is one of the two originators of the LEAD (Leaders for Equity Advancement and Diversity) Fellows program. 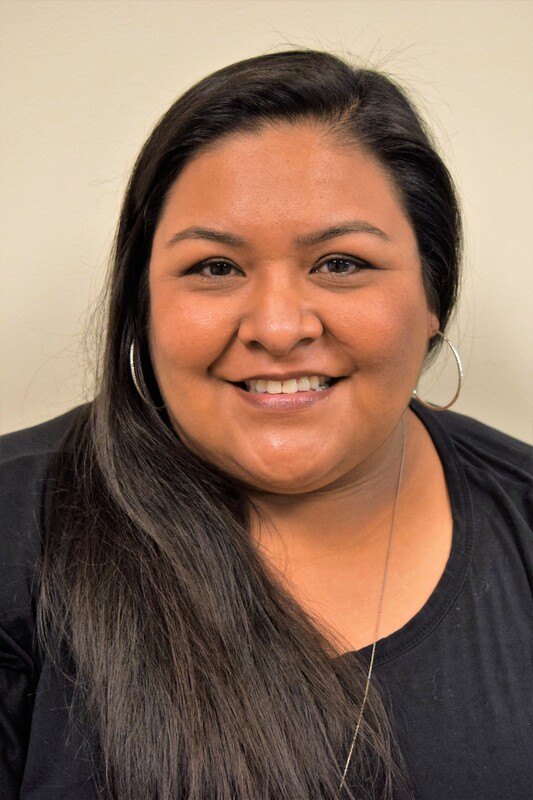 She has presented at the National Conference on Race and Ethnicity, Harvard College, Washington University, several California Community College Districts, the NASPA Multicultural Institute, and facilitated numerous EDI trainings throughout the country. Her research areas include social justice, leadership, organizational capacity building, and cultural competence. Dr. Welch received her B.A. in communication studies and business administration from California State University Sacramento, her master's of science in higher education administration from the University of Oregon, and her doctorate in educational leadership from the joint doctoral program between UC San Diego, San Diego State University, and California State University San Marcos. Elena A. Hood, M.A., Ph.D.
Elena is the inaugural director of the UC San Diego Intertribal Resource Center. She is from the Absentee Shawnee Tribe of Oklahoma, the Pauma Band of Luiseño Indians, and the Choctaw Nation of Oklahoma. Prior to joining our campus, she served as program manager for The Pechanga School, a tribal school located on the Pechanga Indian Reservation. She majored in Native American studies at UC Berkeley and dedicated her time as a volunteer at the American Indian Child Resource Center in Oakland, CA. She went on to earn a master’s in education with an emphasis in administration, planning and social policy at Harvard University and is completing her doctorate at UC San Diego’s education studies program. She has 20 years of experience working in the field of Indian education and serving Native American communities. Dr. Shaun Travers is a Campus Diversity Officer and Director of the Lesbian Gay Bisexual Transgender Resource Center. An active representative of the bisexual community, he has presented at Harvard College, the National Conference on Race and Ethnicity, the NASPA Multicultural Institute, and numerous trainings on campuses throughout the country. 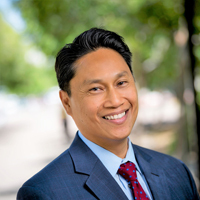 At UC San Diego he has led the Undergraduate Diversity Leadership Institute, the Building Communities for Social Justice Practice Institute, Anti-Racist Practice Leadership groups, LEAD Fellows, and the Culturally Competent Management Program through Human Resources. Dr. Travers serves on the Board of Directors for the San Diego LGBT Community Center and chairs the San Diego LGBT Community Leadership Council. He formerly served as Vice President of the congregation at First Lutheran Church San Diego, Chair of the Education Committee for the National Consortium of Lesbian Gay Bisexual Transgender Resource Professionals in Higher Education, and Co-Chair of the Mentorship Committee for the GLBT Knowledge Community at NASPA. Prior to UC San Diego, Shaun coordinated Gender Issues Education Services, including Women’s Development Programs and Advocacy Services for victims of sexual violence, at Texas A&M University. He has served on the Board of Directors of Planned Parenthood of the Pacific Southwest, and the Board of Directors of the American Red Cross – Brazos Valley Texas. Dr. Gerardo N. Arellano received his Ph.D. from UC Berkeley and his B.A. from UC San Diego in the departments of comparative ethnic studies. Dr. Arellano is the inaugural director of the Raza Resource Centro. His research interests include trans-border culture and migrations, de-colonial pedagogies, Latina/o post secondary educational achievement and retention. He has extensive experience working with underserved students of color at the community, high school, and university levels. He loves to work with students and he enjoys advising graduate and undergraduate students, strategic planning, curriculum design, program development, and assessment. He is passionate about coaching students to obtain scholarships, internships, research, and conference experience. Marnie Brookolo is a Campus Diversity Officer and Director of the Women’s Center at UC San Diego. A first-generation college graduate, Marnie holds a B.A. in critical gender studies and political science from UC San Diego and an M.A. in nonprofit leadership and management from the University of San Diego. 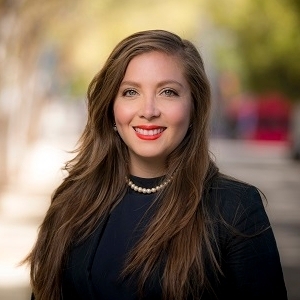 Since joining the staff of the Women’s Center in 2005, Marnie has worked to promote gender equity at UC San Diego by taking a leadership role in building community, developing educational programs, and facilitating student leadership development that centers on women and gender issues. Marnie’s work at the Women’s Center includes providing leadership for a wide range of women- and gender-focused educational programs and events, facilitating diversity trainings and workshops for campus departments and organizations, and partnering with on- and off-campus organizations to promote equity, diversity, and inclusion at UC San Diego and beyond.